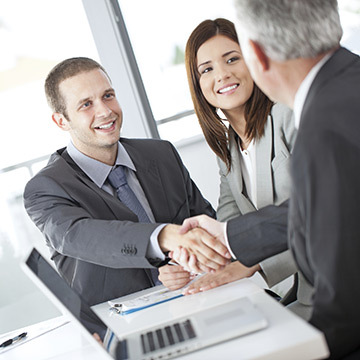 Red Stick Title's staff of attorneys and supporting real estate closing professionals is knowledgeable and experienced in the field of real estate sales and financing. For over 20 years, Red Stick Title has closed a wide variety of Lousisiana real estate transactions for buyers and lenders, both national and local. From a single family residential closing to complex commercial and development transactions, we are confident that Red Stick Title is capable of meeting or exceeding your expectations. Ralph is a graduate of Tulane University (1974) and the LSU Law Center (1977) and has been practicing law in Louisiana since being admitted to the Louisiana State Bar Association in 1977 with his practice focused on real estate and financing transactions through title examinations, document preparation and review and supporting customers’ due diligence and development activities, primarily in connection with commercial real estate transactions and subdivision development. He has lectured and authored materials in the areas of real estate, foreclosure, creditor rights and the Uniform Commercial Code. He has been a member of the Louisiana State Bar Association Uniform Title Standards Committee and the Baton Rouge Bar Association Title Standards Committee. He has been included in the Super Lawyer publication in the area of Real Estate law ervery year since 2007. Don is a graduate of Louisiana Tech University (1978) and the LSU Law Center (1984) and has been practicing law in Louisiana since being admitted to the Louisiana State Bar Association in 1984 with his practice focused on residential and commercial real estate and financing transactions through title examinations and document preparation. Walter is a graduate of Lousiana State University (1981) and the LSU Law Center (1985) and has been practicing law in Louisiana since being admitted to the Louisiana State Bar Association in 1986 with his practice focused on and residential and commercial real estate and financiing transactions through title examinations and document preparation.